Firefighters battled a fire at a fourplex apartment for nearly two hours. The fire started around 2:20 p.m. at 3005 St. George Street near Civic Center Drive and East Cheyenne Avenue. 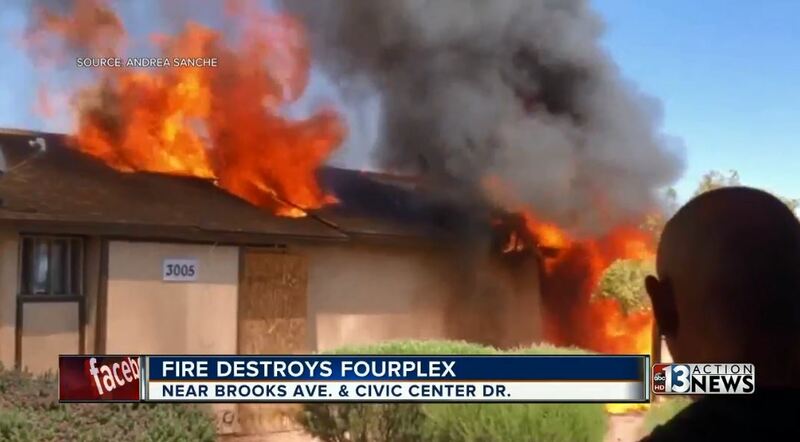 The North Las Vegas Fire Department says it looks like the fourplex will be a complete loss. No firefighters have been injured, and injuries to residents are unknown at this time. Brooks Avenue was closed from Civic Center Drive to North Salt Lake City Street as firefighters put out the flames. All roads have since opened back up. Seven residents were displaced by the fire and damage was estimated at $800,000. The cause of the fire is still under investigation but residents have an idea how the fire could've started. Al, one of the seven people displaced, says, "They need to do something about these squatters man. I lost everything because of these people behind us." 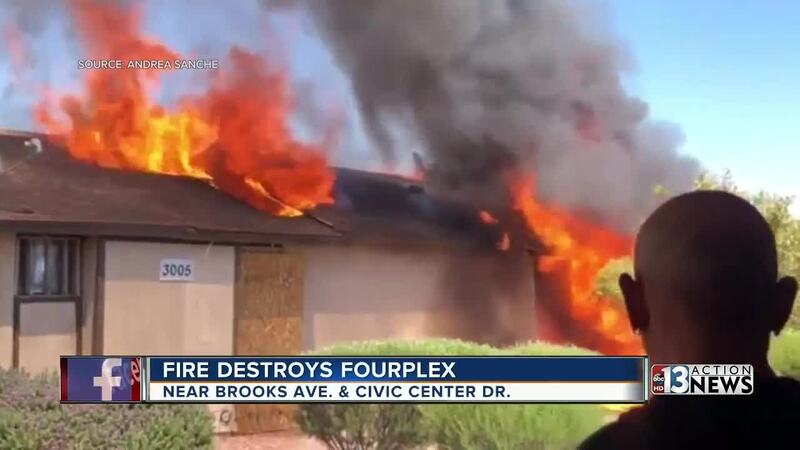 According to North Las Vegas Fire Department, one of the four apartments that burned down was vacant.